Generate infinitely sounds, variations or loops for a given sound file. 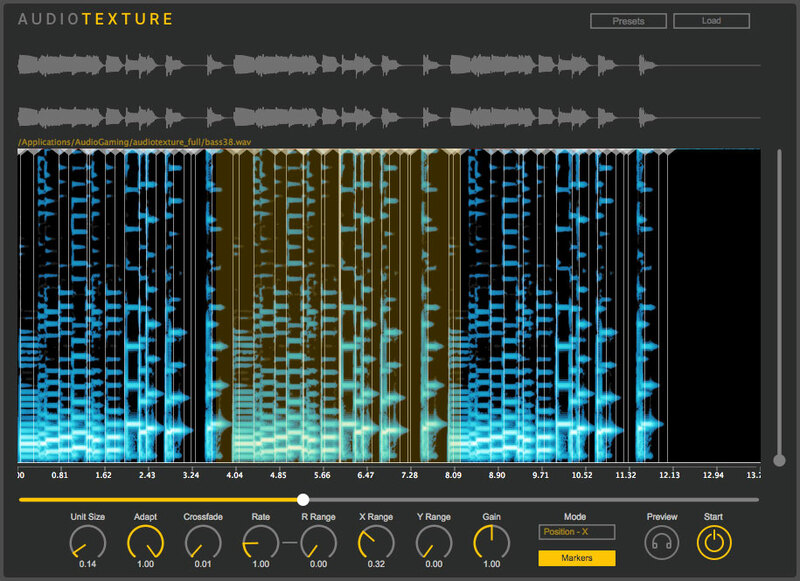 There are enormous creative possibilities with AudioTexture: use one simple sound and generate layered sounds with multiple instances of AudioTexture, or use several sound files with multiple instances of AudioTexture to compose a sound scene. 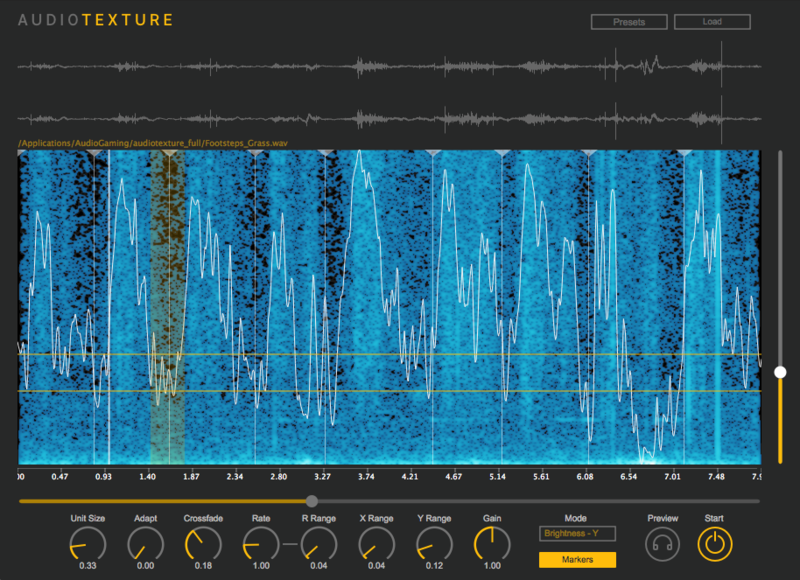 AudioTexture works best for static sound textures or well-defined transient sound events but you can try with any sounds and the results may surprise you. Since it generates infinitely variations from a given sound, you can use it as a time-stretching effect for sound textures. AudioTexture comes with 3 descriptor controls in addition to the position control. This is convenient to create various unit sequences based on perceptually meaningful descriptors. Noisiness: The amount of high-frequency content. Brightness: The spectral energy center, higher the value brighter the sound.